We get asked for our ID all the time. It doesn’t matter where we are or who is asking. It is always the key to some “next step.” What ID do you present? Your driver license, your school ID, your social security card, your membership card, your bank card? 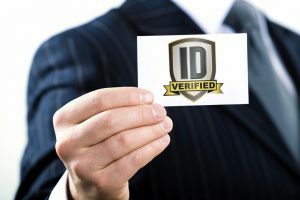 When you think about it, we have all kinds of ID’s at our disposal and each one of them gets used in one place or another. But what about the one that we present everyday? As a member of the bride of Christ our ID is on display everyday, everywhere we go no matter the hour day or night. It is right there in plain sight for everyone around us to examine, whether we know it or not. That’s something Paul understood and his post Saul life was dedicated to following. As a Christian our ID is always on display, but the key to what ID is outwardly on display is directly related to what we are focused on in the inside. We have been filled with the Holy Spirit, who brings with Him all of the holiness, purity and righteousness of Jesus. But as Paul also well knew, there is an ongoing battle inside us that is in constant tension with The Spirit. That is what caused him to so succinctly lay out the challenge. Go back to Paul’s testimony to the Galatians… And the life I now live in the flesh I live by faith in the Son of God, who loved me and gave himself for me. But this is not Paul’s faith in Jesus. It is the faith that the Son of God imparted to him by grace that he lives by. And so it is for each one of us who have made Jesus Lord of our life. He is the One who has given us the faith to trust in His Spirit to face the challenges with everything He has placed within us… to present to the world the ID that testifies to who we are and whose we are!